To further inspire them for their demanding canoe race in aid of Bornean Rainforest, Steve and Helen Backshall visited the rainforest biome of the Eden Project in Cornwall. 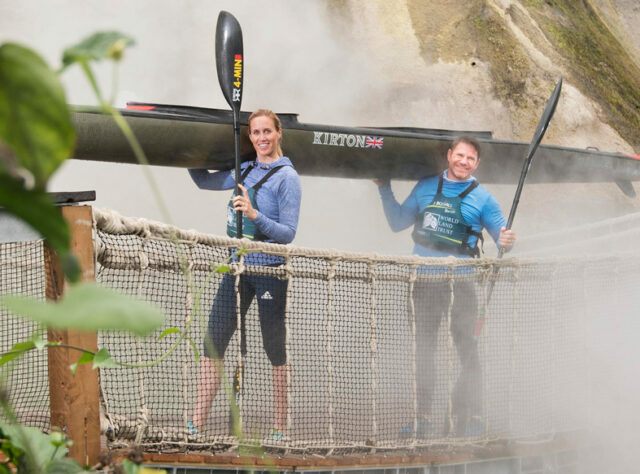 With less than two weeks to go before the Devizes to Westminster International Canoe Race, the training has become pretty intense, even for this world explorer and Olympic champion duo. To remind themselves of what they are trying to protect, they took their kayak into the earthy heat of the 50 metre rainforest dome and walked it over the Canopy Rope and Cloud bridges through the Weather Maker section of the Rainforest Canopy Walkway. 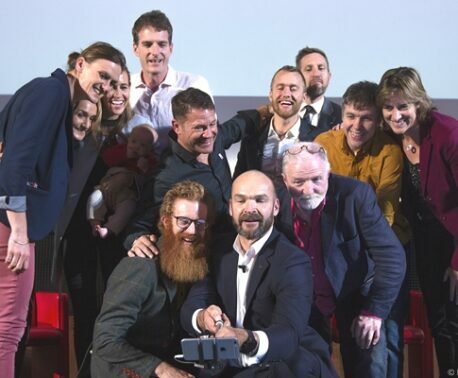 Steve Backshall, a wildlife television presenter who has travelled all around the world on his adventures, said “The rainforest is somewhere where I spent a lot of my time and it’s more than just plants. There’s a sensation, a smell in the air and the sounds of the rainforest- it’s something which you will always carry with you. Steve’s enthusiasm has inspired Helen too, and together they are working to raise £100,000 for World Land Trust’s (WLT) latest appeal to save a piece of rainforest in Kinabatangan, Malaysian Borneo. Dr Jo Elworthy, Director of Interpretation at the Eden Project, added "Helen and Steve's project with WLT is a great fit, not only with our work in Borneo, but also all the stories we tell about the vital relationship between the tropical rainforest, biodiversity, climate and weather."